We are hosting our 32nd annual celebration where American Indian graduates from all college/universities will be honored. Invitations will be sent and rsvp's required. Augsburg College announced Tuesday that Martha Stortz, professor of historical theology and ethics at Pacific Lutheran Theological Seminary, has accepted the position of the Bernhard M. Christensen Chair in Religion and Vocation. 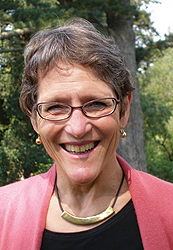 Stortz, who has served at the Pacific Lutheran Theological Seminary since 1983, is also a member of the core doctoral faculty at the Graduate Theological Union, in Berkeley, Calif. She is an acclaimed teacher, scholar, and leader in the church, academy, and wider society. Stortz, whose appointment is effective July 1, will succeed David Tiede, who is retiring at the end of the academic year. "This is an outstanding appointment for us to bring someone of Marty Stortz's caliber and reputation to our campus to continue this important work," Augsburg president Paul C. Pribbenow said. "Clearly Dr. Stortz is making a significant commitment in her professional life as she comes to Augsburg, leaving a 25-year post where she has spent her entire career to move to a very different type of institution and bring her considerable experience and wisdom to serve our students, faculty, and staff. I think her decision reflects how Augsburg's commitment to educate students to discern and live their vocations has become a compelling and inspiring vision." The Christensen Chair was established in 2005 to honor the legacy of Bernhard M. Christensen who served as president of Augsburg College and Seminary from 1938 to 1962. The Chair provides public leadership in interpreting and advancing Augsburg's educational mission, pursues scholarship and teaches in the Religion Department, serves as counsel to the President and Board of Regents; and chairs the advisory council for the Augsburg Center for Faith and Learning. "I especially want to commend Dr. David Tiede, former president of Luther Seminary and the inaugural Christensen Chair," President Pribbenow commented. "With his remarkable intellect and generosity of presence and spirit, Dr. Tiede has modeled for us how this position can play a central role across the college community and in the wider world in helping Augsburg live out its mission as a college that educates students at the intersections of faith, learning, and service." Tiede will be honored for his service at a special event later this spring. Professor Stortz, who received her BA from Carleton College and her MA and PhD from the University of Chicago, is a distinguished theologian whose scholarship includes work in historical and systematic theology, ethics, and biblical studies. "Augsburg's charisms as an institution of Lutheran higher education have long attracted me, and I look forward to advancing them both inside the College and among its various constituencies," Stortz said. "The legacy of Bernhard Christensen is one of the particular charisms of the College. His combination of robust discipleship and committed citizenship are needed now more than ever." Pribbenow said that Stortz comes to this important role with a keen sense of the legacies of Christensen, a genuine enthusiasm for working with students, and an insightful perspective on how the gifts of the Lutheran theological tradition serve as the foundation for educating students in the 21st century for lives of meaning and purpose in the world. "Marty will be a role model for our students of how a life of the mind and a life of faithful service in the world are linked," Pribbenow said. "She has a distinguished record of teaching and scholarship, and she also serves on nonprofit boards, is active in her church, and has traveled across the world. She lives in the way we hope our students will live." In addition to her many published articles, she is the author of A World According to God: Practices for Putting Faith at the Center of Your Life and Blessed to Follow: The Beatitudes As a Compass for Discipleship. Firmly grounded in the Lutheran theological tradition, Stortz's scholarly work explores the complex interplay among Christian denominations and the world's religions. She received a Lilly Theological Research Grant from the Association of Theological Schools in 2009 for a collaborative research project titled, "The Progress of Pilgrimage: Post-Modern Forms of an Ancient Practice." She is a sought-after speaker and workshop leader for church-wide and congregational audiences. She serves on the Board of Directors for Augsburg Fortress and on editorial boards for journals Word & World and Dialog: A Journal of Theology. Stortz also serves on the Kaiser Permanente of Northern California Health and Human Services Institutional Research Board. "For me this constitutes a kind of homecoming, both to Minnesota and to Augsburg," Stortz said. "I served on the board of the Center for Global Education in the 1980s, and I went to college at Carleton. I know the Minnesota winters—or at least I used to. But more profoundly, I come out of a deep sense of having been called. For someone filling a chair dedicated to exploring the nuances of faith and vocation, that seems exactly right."